Ronald J. Kolegraff M.D., R.V.T. About Ronald J. Kolegraff M.D., R.V.T. Rebe has been extensively remodeled and purchase state of the art new equipment to be able to offer laser liposuction. This procedure is now done under tumescent anesthesia. Dr. Kolegraff has performed over 2000 tumescent anesthesia cases for the varicose vein part of his practice. This gives re*be a huge experience to draw from for our latest offering Laser liposuction. Dr. Kolegraff and his wife Jill have trained with Dr. Roger Hogue in Maple Grove M.N., a true pioneer in laser liposuction. 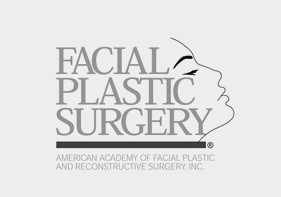 They have traveled to Los Angeles to train with Dr. Jeffery Klein one of the founders of the procedure and have trained with Dr. Mark Saltzman in Liouisville KY specializes in skin and body care using medically based treatments. We offer advanced aesthetic solutions in a comfortable spa atmosphere. With our “state-of-the-art” non-surgical appearance enhancement technologies, aesthetic procedures can be performed quickly and comfortably with no downtime. re*be has some of the most powerful lasers available and we have a tremendous offering of services with staff that have the experience and knowledge to use them. Laser liposuction is a relatively new twist on the traditional liposuction procedure where a laser is used to heat up and denature the fat (cook it literally). This turns the fat into oil and shrinks the tissue holding the fat in place (much like bacon shrinks when you cook it). After the fat has been broken up and turned to oil it is removed by aspirating it out through small strategically placed holes in your skin. Am I a good candidate for laser liposuction? Your weight should be stable. Rapidly fluctuating weight is not healthy and makes unpredictable results from laser liposuction. Having one or two problem areas is better than expecting to have your entire body sculptured with laser liposuction. The closer you are to your ideal body weight the better. You should be an adult and have a mature body fat distribution. Teenagers usually do not meet this criterion. The outer thighs can be done on kids as young as 18 but it is best to wait until later to do the other areas. There is an index called BMI or body mass index. As a guideline if your BMI is over 30 you may be able to have only one area done at a time or the procedure may not be a good idea for you at all. You should be in good health. There are a number of medications that could interfere with you having a safe procedure. Part of your consultation for the procedure will be to assess your medical risk for the procedure. 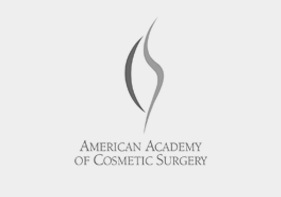 More people qualify for in office laser liposuction than will be able to have general anesthetic liposuction. Adjustments in techniques and how much can be done will depend on your health. If your spouse is complaining about your attitude or your behavior or lack of behavior laser liposuction may be just what you need. Several patients have told me their spouse likes their ‘behavior change’ as much as the new look! You will be tired the evening of the procedure. This occurs because of the adrenaline you release and the epinephrine we give you as well as the disruption in your routine. You will drain from the small holes in your skin for 24 to 48 hours usually. You will be sore. The skin over the treated areas will be somewhat numb to very numb. This can last many months but generally gets better with time. It may never be absolutely normal but real problems with numbness are rare. There will be scabs around the port sites that resolve in a week or two. As you heal the treated area will become uneven. This occurs because of fluid shifts and We have seen some real improvement in the appearance of cellulite doing laser liposuction at re*be. 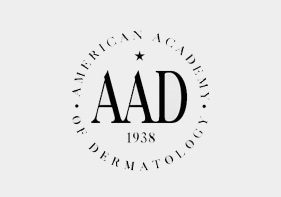 It appears that breaking up the connective tissue between the fat lobules will cause improvement to the surface of the skin resulting in improvement in the cellulite appearance. Dr. Ronald J. Kolegraff, M.D. R.V.T. Dr. Kolegraff is licensed to practice medicine in 4 states, Iowa, Minnesota, South Dakota and North Dakota. This is a photo of his license from the State of Iowa. Dr. Kolegraff has had and maintained in good standing a license to practice medicine and surgery in Iowa since 1984. Dr. Kolegraff’s traveling general surgery practice included the towns of Spencer, Spirit Lake, Estherville, Emmetsburg, and Pocahontas. Dr. Kolegraff is a Board Certified Phlebologist in Iowa, one of only 4 physicians in the State with this credential. Dr. Kolegraff has been practicing general surgeon in Northwest Iowa for 25 years and is also Board Certified in General Surgery by The American Board of Surgery. 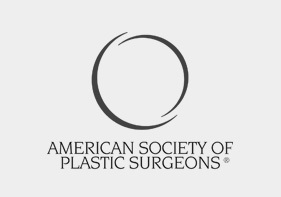 This specialty board was established in 1937 and currently there are estimated to be 23,000 board certified general surgeons currently practicing in the USA. 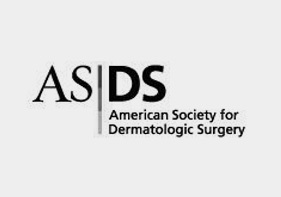 The American Board of surgery is one of 24 medical and surgical specialty boards that are members of Americal Board of Medical Specialties. Board certification does not ever guarantee results but it clearly shows effort and commitment to a medical or surgical specialty. Being double boarded is not common but clearly appropriate to re*be’s goal of one day being the best vein center in Iowa. Dr. Kolegraff is one of only a few physicians who has shown the commitment to licensing and credentials to actually obtain his RVT. This is a credential to certify he has the background and training to operate the diagnostic ultrasound equipment at re*be. re*be of Okoboji has 4 duplex ultrasound machines and two on staff with the RVT credential. Every physician practicing medicine should have this certificate. It is given to new doctors after the pass the national boards given by The National Board of Medical Examiners. Caring for patients in many training hospitals require the new doctor pass the National Boards prior to beginning work on real patients.